There are a ton of different self-help books out there and there’s no arguing that it’s an incredibly profitable industry. For the cynical it would be easy to look at these publications as simply ‘preying on the desperate’ by offering the promise of riches and happiness, when in fact the only people likely to become rich are the authors and the publishers. In some cases this is true, and there are certainly a lot of books out there that are obvious at best and damaging at worst. But to write off the whole genre as a money making scheme would be a mistake, as actually there are also a lot of good books out there that offer some genuinely useful advice on how to increase your productivity, how to be more successful and even how to be happier. These are the books that have a foundation in science, and that are informed by subjects such as cognitive behavioural therapy, business, biology and perhaps best of all – experience. These aren’t just wishy-washy concepts you could have come up with yourself, or bad ideas based on a lack of research or understanding; rather they’re a collection of proven techniques and enlightened perspectives that you can genuinely apply to your own life. Fortunately for you, I’ve read all the bad self-help books so you don’t have to, so I’m in a position where I can tell you precisely which ones are worth your time to save you the hassle of having to cut through the chaff yourself. Here are a few of the best ones I’ve read recently to get you started. Work through this reading list and you should come away with some powerful techniques and a whole load of inspiration. 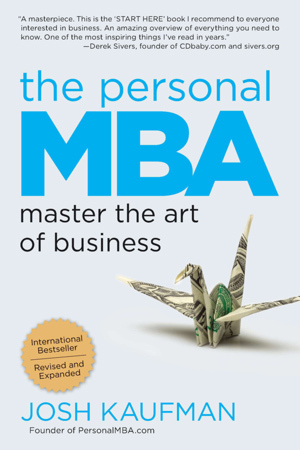 The Personal MBA is a book that claims to be an entire MBA degree in one book. It probably won’t hold the same sway with employers admittedly, and I doubt you can really go toe to toe with the actual graduates at the end of it. However the book is nevertheless incredibly useful both as an introduction to business and a self-help reference. While the range of business techniques and principles explained in the book will be highly useful for any budding entrepreneur or manager, the pages on psychology and how to get the most from your brain were the ones I enjoyed most. Discover how you can use cognitive simulation to test your ideas, how to avoid absence blindness and what convergence and divergence means. By understanding a whole range of cognitive biases and learning new mental techniques you can become more efficient in the boardroom and in your home life. I’m probably a fair bit richer as a result of this book, which is perhaps the best compliment I can give it. But then when I got stuck in I was pleasantly surprised. Despite the convenient title the book is less about saving an hour every day and more about exploring all the different ways you can increase your efficiency and save time in your routine tasks. 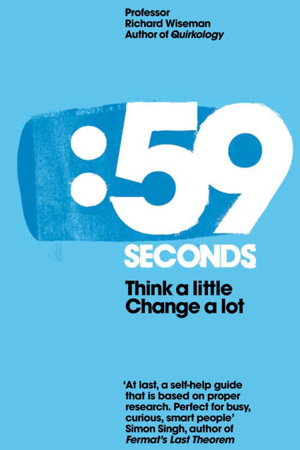 Some of the ideas I found a little disappointing (wake up an hour earlier… really??) but others were actually very useful. It was this book that encouraged me to throw out some of my boxes of junk for instance and I’ve felt liberated ever since. Trick of the Mind is not on the face of it a self-help book, but it certainly contains a lot of tips and advice that could easily fall under that heading. In case you’re not familiar with him, Derren Brown is a British illusionist/mentalist who uses persuasion, suggestion and a range of psychological tricks to accomplish all kinds of feats. What’s most interesting about him though is that he always explains his techniques (and he’s actually an incredibly nice guy if you meet him in person too). This book takes that theme further, teaching you some of the memory mastery techniques he uses in his acts, as well as other ideas and concepts. He does also dabble a little in the more traditional self-help fare here too – stating that the best way to ‘make friends and influence people’ is just to be a nice and generous person. Straightforward maybe, but definitely true. 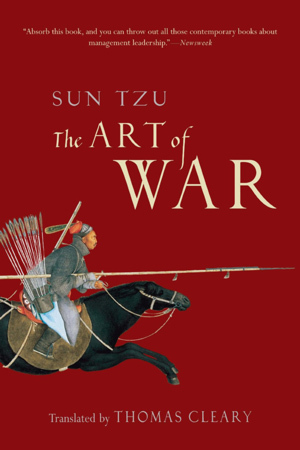 The Art of War is certainly the oldest book on this list dating back to ancient China. Originally written as a military treatise, it has since gained popularity among martial artists, business folk, students, working Mums and just about everyone else due to the belief that the principles can be applied to all these other aspects of life. Unlike some books that have had this treatment (The Book of Five Rings – I’m looking at you! ), in this case many of the ideas actually are transferrable and the lessons really can help you manage your relationships, your family and your employees. It’s a quick read, and the advice involves things such as timing your attacks, picking your sources, choosing your allies and considering the environment in your campaigns. Sly Moves is personally one of my favourite fitness books from one of my number one role models. In Sly Moves, Stallone talks not only about the workouts, diet and exercises he uses to get into shape, but also about his life, his philosophies and his tips for success. Stallone’s life pretty much mirrors the life of his character Rocky and when you read the book you realise how he really did beat the odds in order to achieve his dreams. I found it very inspiring, but it also helped my weight training a great deal. Another one of my action star heroes Arnold Schwarzenegger recently released an autobiography that recounts his remarkable life story. While this isn’t a self-help book per se, I find it inspiring reading about the guy who came to America with nothing and ended up being incredibly successful in business, property development, bodybuilding, acting and politics – and again many of the lessons and tips he shares can be extrapolated and applied to other aspects of your daily life. I knew I was going to enjoy this book as soon as I read the cover. Not only did it promise to be a more rational self-help book that would actually reference scientific journals rather than just making unfounded sweeping statements, but it also had an encouraging quote from none-other than sceptic Derren Brown on the front. And reading further I wasn’t at all disappointed with the contents. Many of the popular self-help myths that you hear thrown around are shot down early on, and instead you get a selection of short and effective strategies you can use to improve your mood, your relationships and your productivity with measurable results. Another incredibly inspiring character is Richard Branson – who has achieved amazing things throughout his life, with probably the most amazing being to actually privatise space flight. In this book he describes his life story explaining each of his successes and failures along the way and sharing the lessons he learned from them that can again be applied to your own business endeavours or to other aspects of your life.